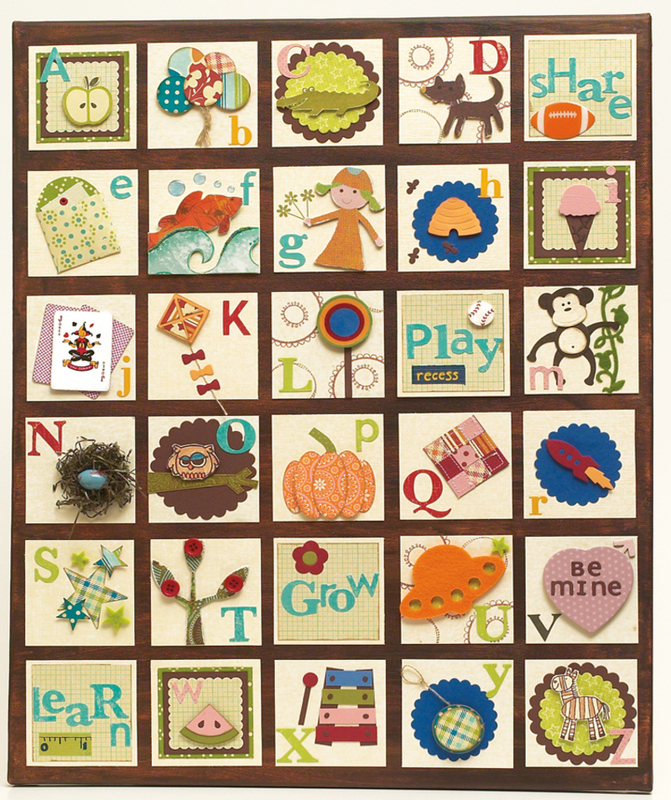 As promised in the fall issue, today Kerry is sharing the instructions for the adorable ABC board (found on page 9). 1. Paint a 16x20 canvas with brown acrylic paint. Incorporate 2 different shades of brown by dipping 2/3 of the brush in one shade, and 1/3 of the brush in a lighter shade (I used a foam brush to avoid brush marks). Then, apply paint to canvas in different directions to achieve variations in colour. Let dry. 2. Cut 30 2.75x2.75 squares from cream textured cardstock. 3. Note: there are 26 letters in the alphabet, but I needed 30 squares, so I added in 4 “other” squares. I chose words associated with school (grow, learn, play, share) and incorporated them randomly on the board. 4. 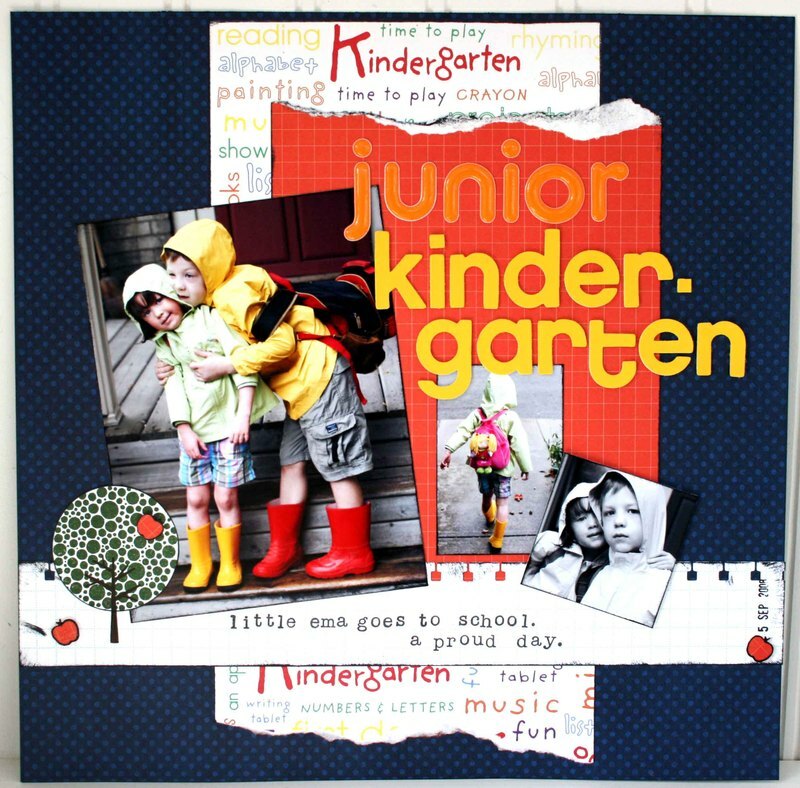 Choose a variety of stamps, die-cuts, punches, felt and/or chipboard shapes, etc. to generate a picture for each letter of the alphabet. 5. Note: for consistency and continuity, I chose coordinating patterned papers, letter stickers, and embellishments. I also planned the board ahead of time in my head and on paper so that squares with lots of blue (for example) were not beside each other. I also varied the positioning of the alphabet stickers (if it was on the top left on one square, it would go on the bottom right of the square beside it, etc.). 6. Incorporate pop dots, brown ink, micro beads, glossy accents, embossing powder, and the occasional piece of felt and/or chipboard to add dimension (again, this should be spread out). 7. To make the “n is for nest” square: I took some brown “Easter” grass and formed it into a rough nest shape with my fingers. Spray it with a clear varnish to help it hold its shape and to give it a bit of shine. Let it dry. For the egg, I found an egg-shaped gum ball (leftover from my children’s Easter stash) and sprayed it with a clear varnish. Let it dry and repeat. Adhere it inside the nest with double-sided, super-strength adhesive. 8. When you are finished all of the squares, lay them on the canvas—horizontally there will be 5 squares in each row (spaced approximately .25” apart). Vertically, there will be 6 squares in each row (spaced approximately .50” apart). 9. Adhere each square to the canvas using several strips of double-sided, super-strength adhesive. 10. Take a deep breath because you are done! If you have any unanswered questions and are sitting down to make a similar project, please feel free to email me at editor@scrapbookandcards.com. I’d love to help! I challenge you to use non-traditional colours on themed cards. Red and Green are great for Christmas cards, but changing it up a bit adds personality and originality to your designs. Thinking out of the box will help you to view all things in a new light. 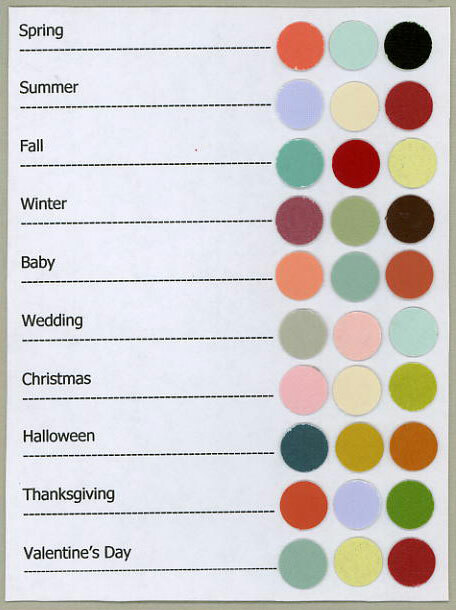 I am sharing some fun, sample colour combos for you. Feel free to deviate...they are just some jumping off points. Here is a cute card that I made using a different colour combination than I normally use. It is here! It has arrived! Our fall issue that is! The fall issue of Scrapbook & Cards Today is now available in stores and on our website. Click here to download the new issue. This week’s fabulous giveaway generously comes from We R Memory Keepers. A beautiful collection of the new White Out Christmas line can be all yours…all you have to do is enter a comment here. To have a chance at winning this wonderful line, please leave a comment on this post by Thursday October 2nd at 6pm EST. Good luck!! Beautiful I just used some of this and the texture and weight is WONDERFULLLL! Congrats Nancy! 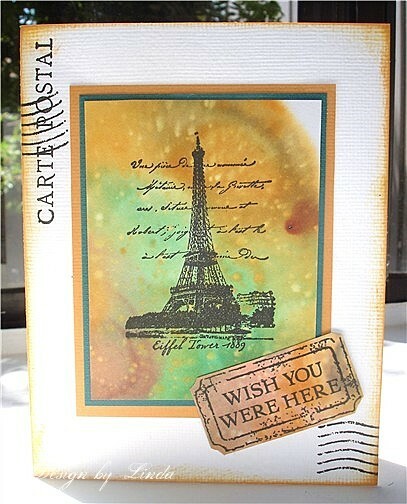 Please contact Catherine with your mailing info at catherine@scrapbookandcards.com. We fell in love with this adorable back to school layout from Sarah Hodgkinson of Woodstock, ON. What a great use of the Bo Bunny double dot paper and of the Gel-a-tins tree stamps. Thanks Sarah, for sharing a snippet of this precious and momentous day with us! Don't forget that last week's Bo Bunny giveaway ends Thursday, September 25th at 6pm EST. I am new to your blog and am loving this "freebie Friday" concept! I also like your techniques and challenges! 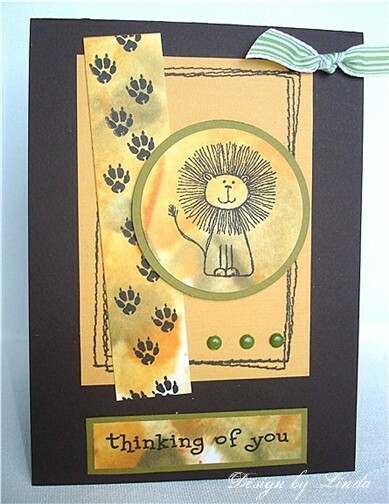 Today, Roxanne shares a fun fall card that she recently created. This card’s base is made from a downloadable library pocket. 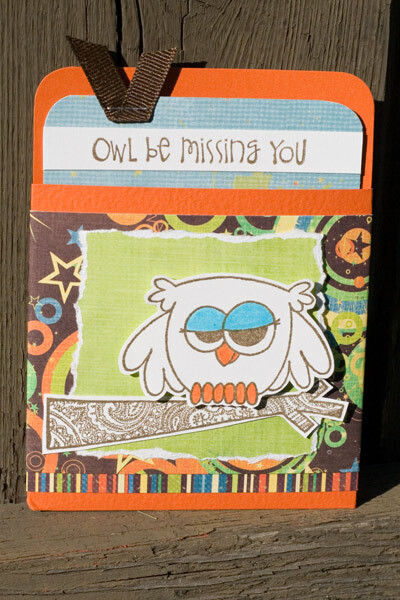 A cute tag fits inside the pocket and easily pulls out to display the sentiment. 1) Download and save library pocket template from Mirkwood Designs - http://www.ruthannzaroff.com/mirkwooddesigns/library.htm. I resized my template so that it was 9 3/8" tall; which leaves the front side of the pocket approximately 4" x 4". Print it out, then trace around template onto orange cardstock and cut out. Fold edges along dotted lines and adhere pocket together. 2) Trim striped paper 1/2" high by 9" long and adhere around bottom of pocket.Trim circle patterned paper to 3 1/4" high by 9" long and attach on top of striped paper, leaving about 1/4" of the stripe showing. 3) Trim green square 3 1/4" x 3 1/4" and tear around it leaving a square of approximately 2 3/4" x 2 3/4". Attach to front of pocket. 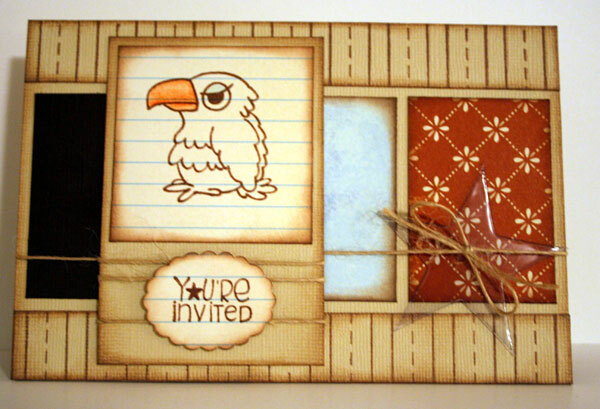 4) Using brown ink, stamp the owl, branch, and saying onto white cardstock and then trim per example. Attach branch to front of pocket with adhesive and owl on top of it using foam squares to give it dimension. I used markers to colour the eyelids, beak, and claws. 5) For the insert, trim a 3 3/4" x 5" rectangle out of the blue patterned paper. Round the top two corners with a corner rounder. Attach the stamped saying and trim the sides. Staple brown ribbon to the upper left side. Insert into pocket and you are finished!!! 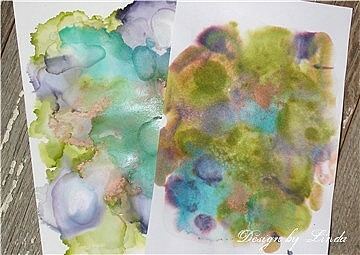 Today, we are sharing part 2 of Linda Beeson’s great tutorial on using alcohol inks (part 1 was featured last Tuesday just in case you missed it). In Part 1, I mentioned that these particular inks were pretty much developed to be used with coated or glossy papers, but that I really like using non-coated papers too. They work differently on porous papers and that is what I’d like to show you today. 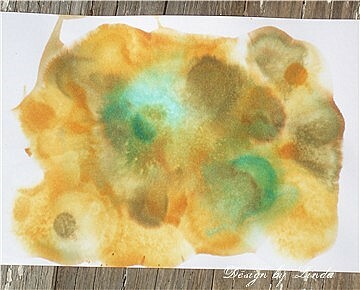 I love to make interesting backgrounds with these inks on just your basic, white cardstock. It is probably a little hard to tell from the photo, but this is an example of the same colours used on a glossy, coated paper and a piece of non-coated paper. The inks will still flow on the non-coated papers and the blending solution will still “move” the colours; just not as much. The inks also soak “into” a porous paper so that adds to the fact that it is going to look and act a little differently. You can still keep adding colour and blending solution, and you can still create until you are happy with the look. Now set it aside to dry. This example shows the finished result when I used these ink colours. The piece on the left of the screen is the glossy paper; the one on the right is the non-coated. This is the piece that my card examples are created from. To complete the two cards that you see here, I used small portions of my finished, inked pieces and stamped onto them. The result is a variegated, custom look that reminds me of beautiful batiks.